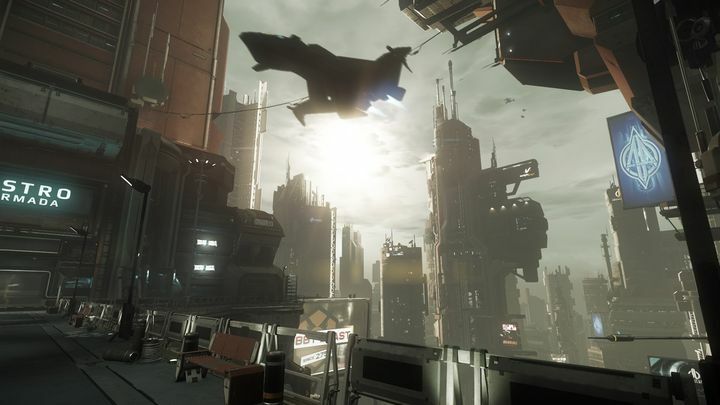 Star Citizen is no doubt one of the most eagerly awaited video games of the decade. This makes sense taking into account that the game promises to offer an enormous universe with countless planets to explore, space combat, trading, an epic single player campaign and also a multiplayer experience in a persistent online universe. The game is also amongst the biggest crowdfunded video games of all time, with backers having pledged more than $100 million US dollars to the project which is led by industry legend Christ Roberts, who was behind the best-selling Wing Commander games of the 90’s. And Star Wars actor Mark Hamill, who worked with Roberts in Wing Commander III, will also feature in Star Citizen’s single player campaign, along with other Hollywood talent like X-Files star Gillian Anderson. Despite the game’s tremendous player and crowdfunding support though, some have feared that Robert’s game could end up being mired in development hell and turn out to be a disappointment in the end, like other high-profile games such as Duke Nukem Forever, which promised the world but ended up being one of the biggest video game flops of all time. Also, Roberts’ company Cloud Imperium Games had been earlier accused of mismanaging the game’s crowdfunded millions and of other questionable things, claims that Roberts has vehemently denied though. So it makes sense that quite a few gamers might think that Star Citizen would fail to deliver, and that it would fail to live up to the hype, much in the way that the recent No Man’s Sky turned out to be a disappointment of epic proportions for many. But thankfully a new preview video shown at this year’s Gamescom in Germany has served to assuage player’s fears, as it showcases many aspects of the game including space dogfighting, first-person combat and the enormous planets players will be able to explore, and also a few of the missions which will be available in the game. One mission given to players by a shady character in the video (whom you meet in a bar inside a huge space station which includes other facilities like a hospital and shops) involves raiding an abandoned spaceship in order to obtain a blackbox. The inside of the ship has a creepy atmosphere and dead bodies floating in a zero-G environment, although admittedly the first person combat and an earlier dogfighting sequence did not look that exciting due to the poor enemy AI (which is something that will be worked out before the game’s release no doubt). This video also shows off the game’s superb graphics technology (which features great facial animation and enormously detailed large-scale planets) and epic space action, and it’s clear that Star Citizen does look pretty great for a game that’s still quite a way away from release. But still, this preview video proves that Star Citizen might be closer to delivering on its promises than many thought, and will certainly be a game to watch out for when it’s released sometime in the future.